Trust people and they will be true to you; treat them greatly, and they will show themselves great. One of the most important Vital Signs of a healthy climate is TRUST. When your people trust you, they dig deeper, listen better, and forgive more readily. When trust is low, there is more resistance, more fear, and communication doesn’t work as well (because people don’t believe each other, focus on CYA, and defend). At the center of the Vital Signs model, trust is the key to an engaged team. Want more trust? The first step is to assess it so you can understand what’s really happening in a relationship. Trust flows between people. If your trust is low, probably they feel similar. Trust is feeling and a belief, and it is reciprocal. If don’t trust you, I can pretty well guarantee you don’t trust me. Think of one of your direct reports, someone who does a good job, but who doesn’t fully “buy in” to your leadership and direction — doesn’t fully trust you. Now, honestly ask yourself: how fully do you trust her or him? If you feel distrust, that’s a great signal to you — a warning — that the two-way trust connection is fragile or broken. Use your feeling of trust as a barometer to assess the quality of trust in your team. Sometimes people are not sure if they trust or not. This simple process will let you check your trust level. Think about a specific person right now. Imagine asking them to take on a challenge that is possible, challenging, and important. 2. Quick Think — Right this second, what’s your first reaction? If you have questions or doubts, you might not trust. 3. Heart Check — How do you feel? If scared, frustrated, sad, or anxious, you might not trust. In the next article in this series, we’ll go onto increasing trust, first by practicing the Four Cs, then by having a challenging and wonderful conversation. In the meantime, increase your insight into your relationships by practicing the Body Scan, Quick Think, and Heart Check techniques. Tune into your own feelings of trust and distrust as a foundation for improving it. Trust is a feeling. Tune into to assess your relationships. Assessing Trust: How do you diagnose a relationship by checking your current level of trust? Earning Trust: If you want to increase trust, what do you focus on? 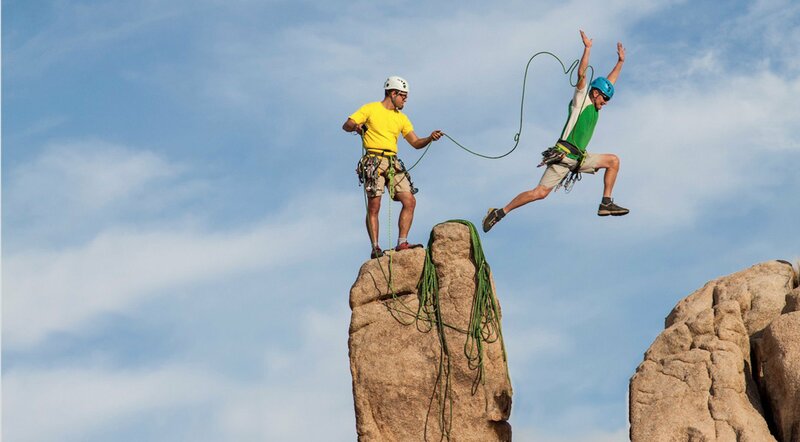 Requesting Trust: When you want to take trust to the next level, how do you talk about it?